If your oven or stove won’t start, don’t worry about revisiting your youth. You won’t have to spend an eternity living off of instant noodles and pizza delivery – with our oven troubleshooting tips, you’ll be cooking again in no time flat. Attempting to repair home appliances can be hazardous – especially when it involves a gas supply. Our oven troubleshooting guide is intended for informational purposes only. 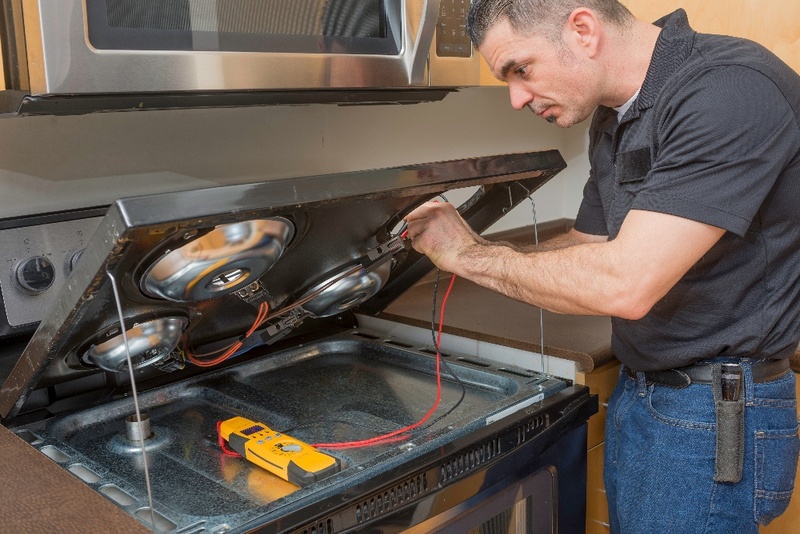 If your oven won’t start, we highly recommend contacting a service professional to come fix the problem quickly and safely. Your oven and range top burners are connected to the same gas supply, so a great way to help isolate the problem is by checking each one separately to see if it works. If your oven won’t start, check to see if your range top burners are lighting up – and vice versa. If your stove won’t start, try turning on the oven to see if it works on its own. If one works but not the other, you’ve determined that it’s not an issue with the gas supply. 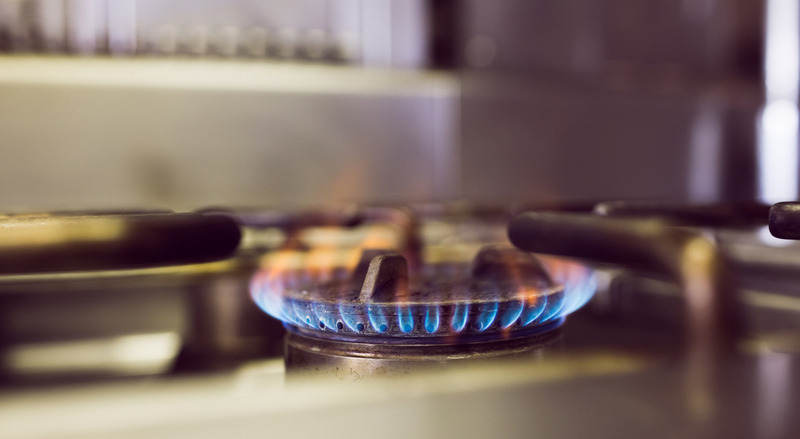 If both the oven and the stove won’t start, check the gas supply valve to see whether it’s open or closed. If the gas supply is open, you should contact a professional to determine what’s wrong. If the burners are working but your oven won’t start, it’s a good idea to check if your oven has a service cutoff valve. This is a switch that cuts off gas supply to the oven alone, and not to the range top burners. The valve is located on the pressure regulator, on the back of your oven range. Check to make sure that it’s in the “open” position. If your stove is clicking and making blue sparks when you turn the knob to ignite it, and you can smell that the gas is flowing – but your stove won’t start -- there’s a good chance the gas feed is clogged. This is most likely the case if it’s just one or two burners that won’t ignite, while the others work fine. Over time, the gas feed can get clogged with grease and grime. To fix the problem, just remove the range top grate and burner cover, making sure they’re cool enough to handle, and then lift the burner itself out of the range top. For some models, you may need to unscrew a couple of screws with a regular household screwdriver in order to lift up the burner. Check the small, pin-sized hole in the back of the burner: you should be able to see right through it. If you can’t see through the hole (you may want to hold it up to a light and see if light shines through), then simply take a toothpick, paperclip, or other wiry item you’ve got on hand, and use it to clear out the feed hole. Then, replace the burner and give it a try – it should light right up. Oven and stove repairs can be tricky, time-consuming, and a real pain – which is why our expert technicians are on call to help you get your oven, stove or range working as good as new. 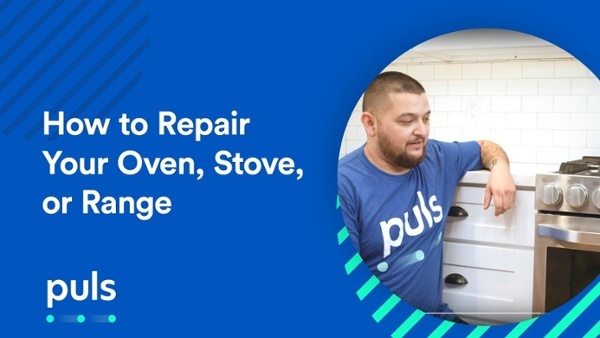 With our easy online booking process, you can have a Puls technician fixing your oven or stove before you know it – often as soon as the very same day. Plus, if you choose to go ahead with a repair, we’ll throw in our comprehensive $79 diagnostic for free. Book a service online today and enjoy $20 off for a limited time with the code: SAVE20. We fix washers, dryers, refrigerators, and much more. And, with our 90-day guarantee on parts and labor, you can be sure that the job is being done right the first time, and you’ll remain covered long after. So, what are you waiting for? Book an appointment now to have a certified Puls technician get your oven back to full power in no time.